It wasn't a good year for the luxury watch industry, but some watchmakers still managed to turn out stellar timepieces. The past year was generally a bad one for the fine watch business, with layoffs, retiring management and plunging profits. In such an environment hopes for great products aren’t high, since watch brands now focus on safe bets that are easy to sell. 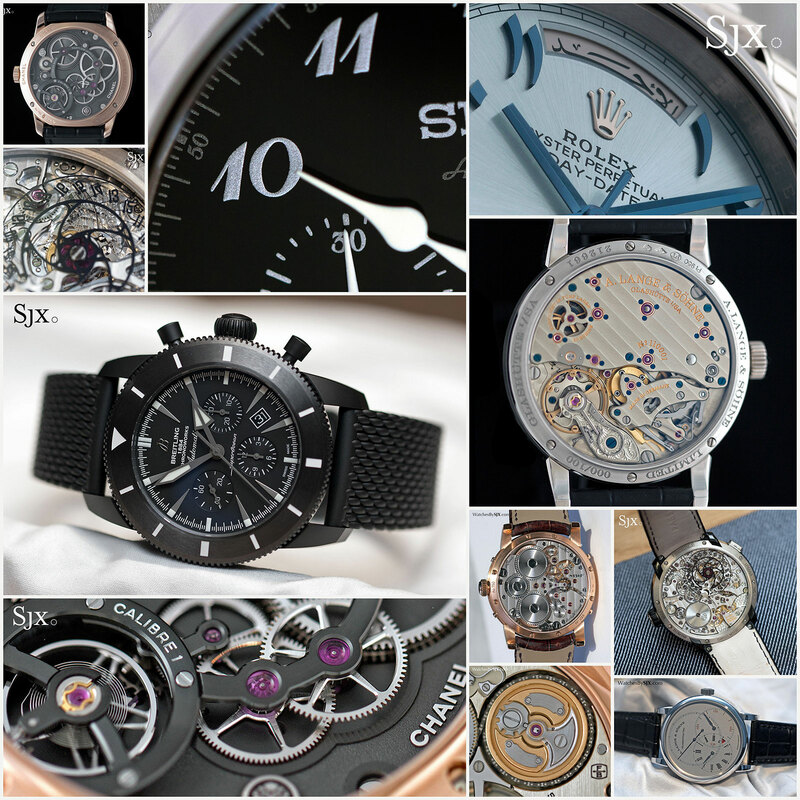 Nonetheless there were several standout watches unveiled over the year, ranging from the fantastically priced to the impossibly affordable. Your correspondent encountered dozens of watches throughout the year, but some of them stuck with him. Here are 10 of the year’s most notable, with something for every budget. 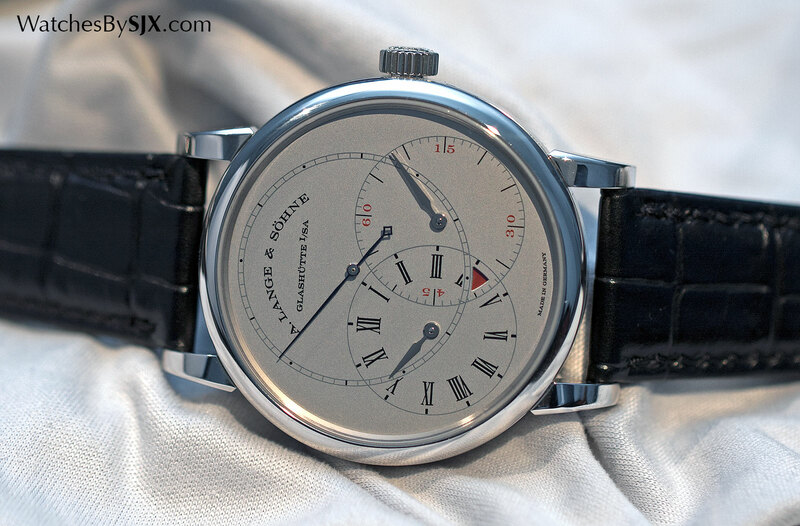 Lange‘s recent complicated watches tend to the large side of big, so the compact Richard Lange Jumping Seconds is a surprise. 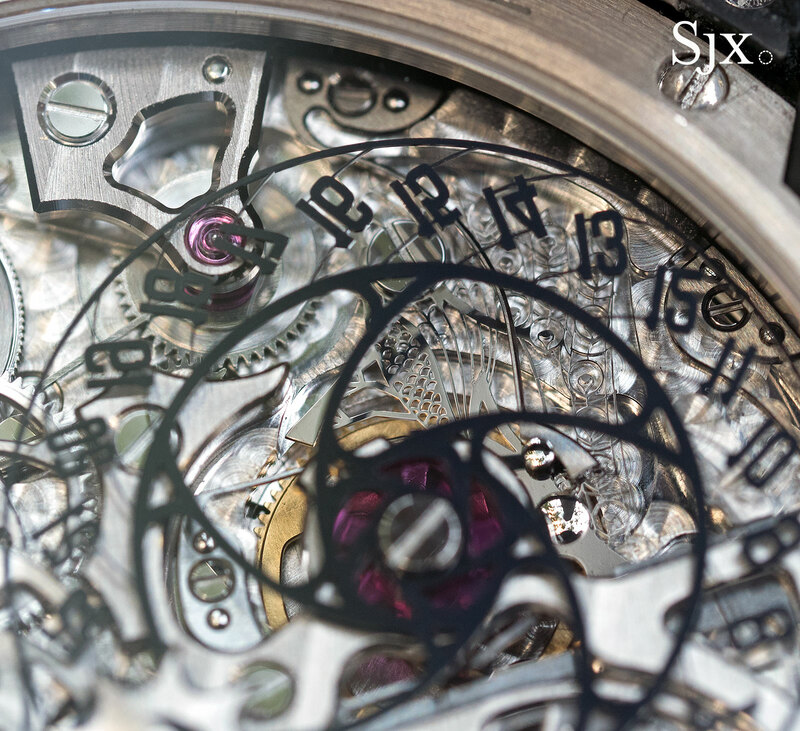 A manageable 39.9mm in diameter, the Jumping Seconds also features a coherent, sensible pair of complications. 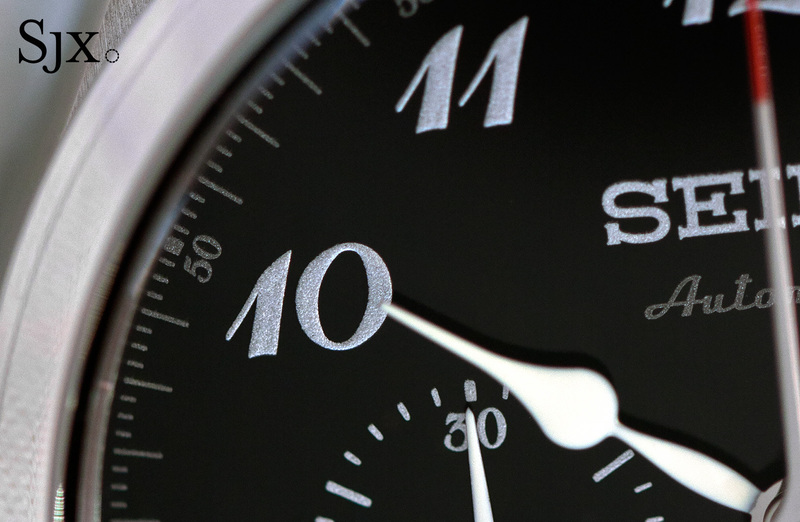 The jumping seconds moniker comes from the fact that its seconds hand moves in one second steps. But unlike other, albeit less expensive, deadbeat seconds watches that have it solely as an aesthetic feature, the jumping seconds here is the result of a constant force mechanism. This ensures the escapement receives unchanging energy, even as the barrel winds down. Because the constant force mechanism releases energy in one-second intervals, the result is the jumping seconds. 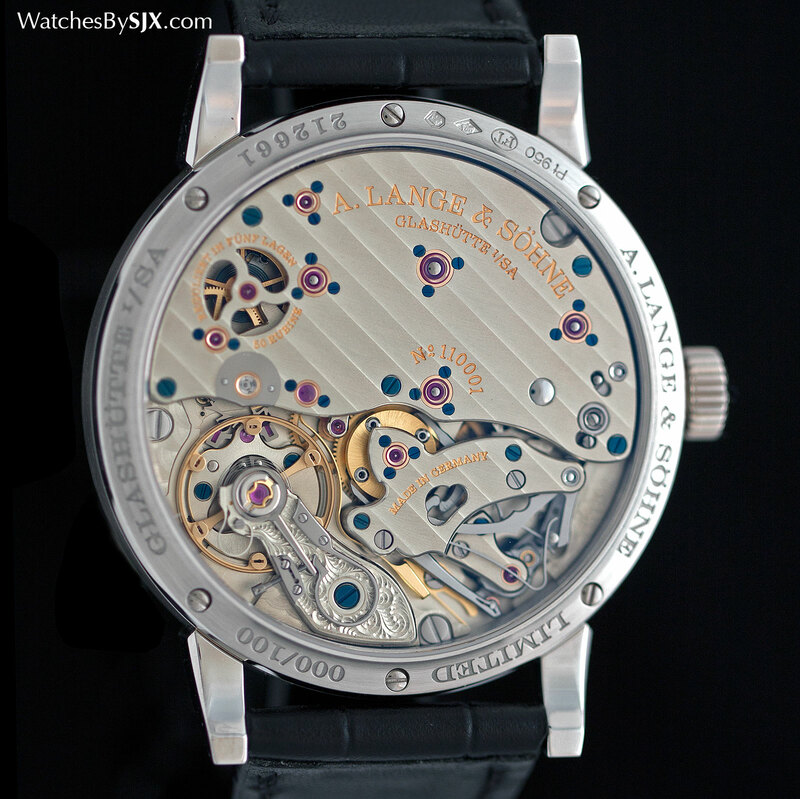 And the Richard Lange Jumping Seconds has one more trick up its sleeve: a zero-reset seconds. When the crown is pulled the seconds hand returns to 12 o’clock and freezes in order to aid time-setting. Though limited to 100 pieces in platinum, the Richard Lange Jumping Seconds will almost certainly return in another metal. The Supersonnerie lives up to its name, possibly being the loudest and clearest minute repeater on the market today. 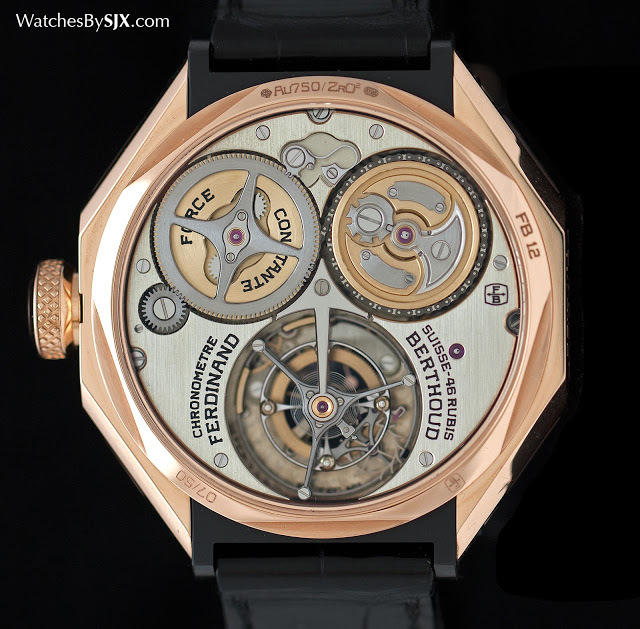 Audemars Piguet achieved this with two key developments, namely the double case back and silent governor. Almost as loud as a pocket watch repeater, the Supersonnerie has a two-layer back. The outermost back is raised with perforated edges to allow sound transmission, while the inner back is a thin disc of special alloy that acts as a soundboard to amplify the repeater chimes. That being said, the Supersonnerie does have its weaknesses. 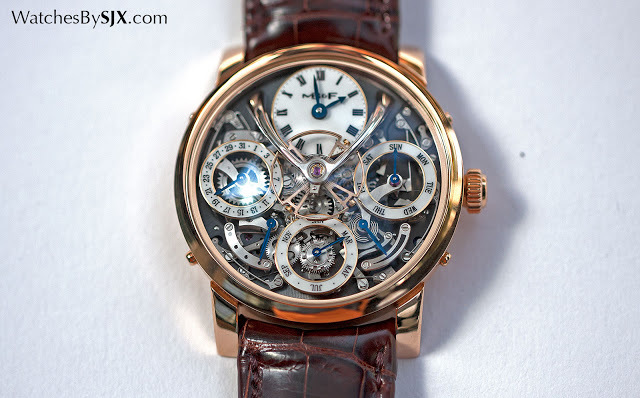 For one it is a triple complication – repeater, tourbillon and chronograph – resulting in a SFr520,000 price tag. And it is enormous, being 44mm in diameter and long enough it won’t sit well on most wrists. Fortunately the double back construction can be applied to slightly smaller, round timepieces of 43mm according to Audemars Piguet, which means a more conventionally styled Supersonnerie is on its way. It’s somewhat surprising that one of the most technically impressive watches of the year comes from Breitling, the maker of shiny pilot’s watches that is itself on the block. But despite not being known for mechanical ingenuity, Breitling accomplished a lot with the Chronoworks. 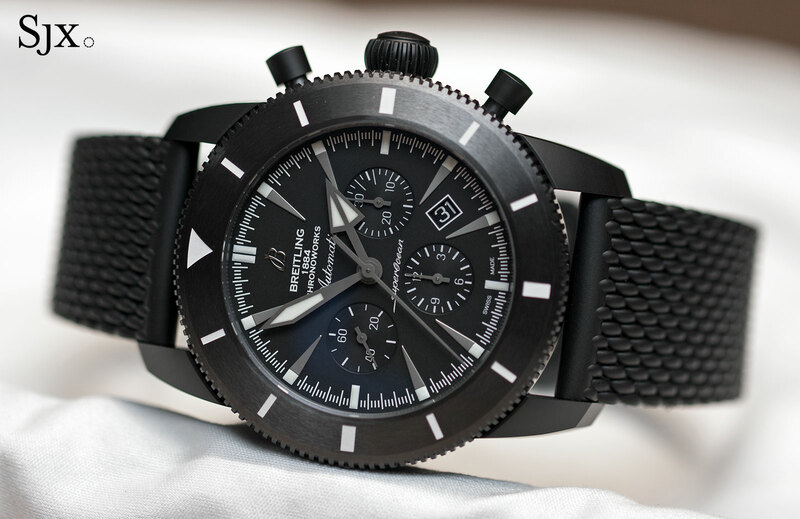 Visually the Chronoworks is staid, being an all-black sports chronograph with a ceramic case. 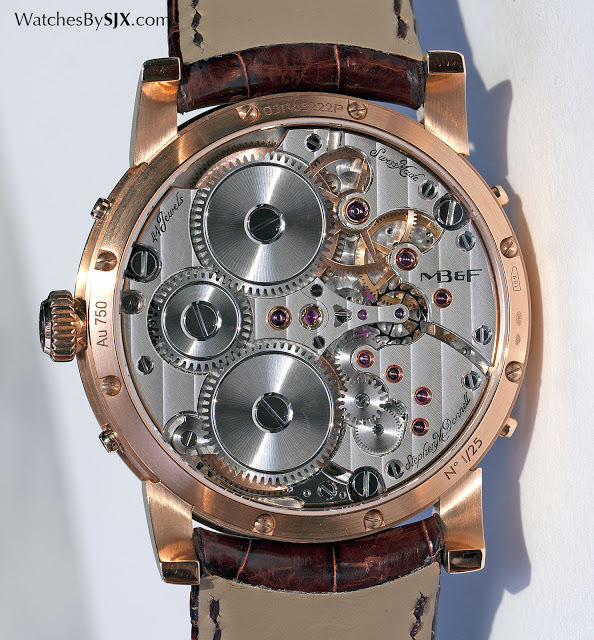 Even the movement doesn’t give much away, looking like an ordinary chronograph calibre at a glance. 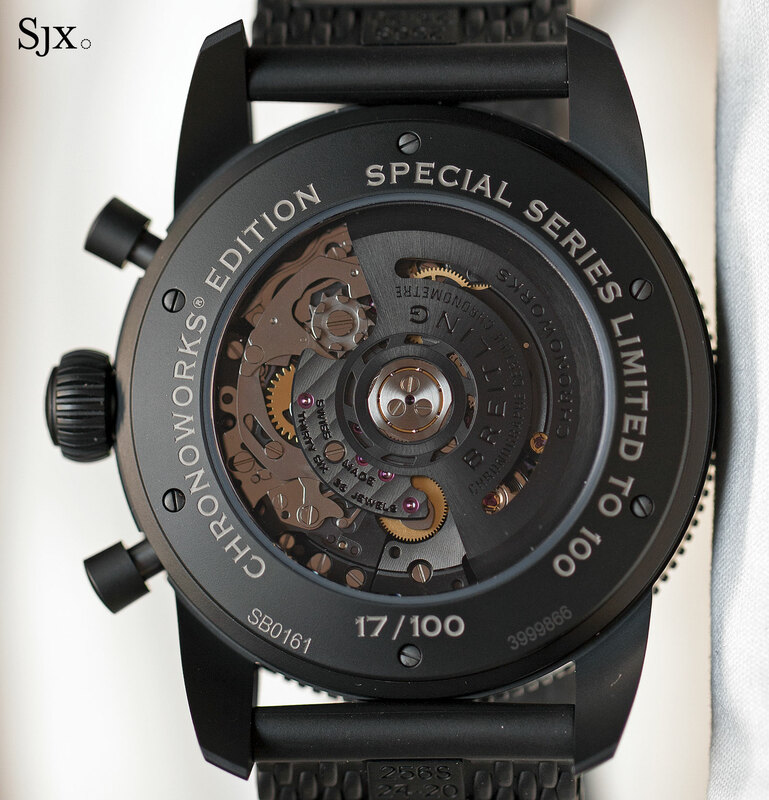 But the Chronoworks movement is packed with smart features that result in significant, practical advantages. To start with the balance wheel is made of two materials that react differently to temperature, allowing it to continue oscillating regularly even as ambient temperature fluctuates. More important are the innovations that boost functioning efficiency. The base plate is ceramic, eliminating the need for jewelled bearings, since arbors can sit directly in the base plate, boosting the efficiency of the movement. 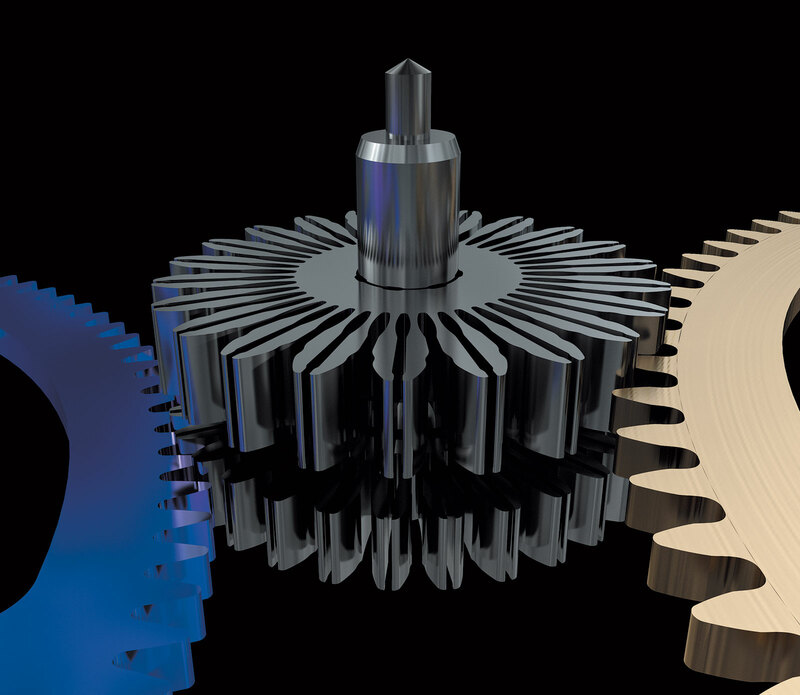 Then the wheels of the gear train are made of silicon, which is both friction-free and also more rigid thanks to the redesigned tooth profiles. Silicon is also used for the pallet fork and escape wheel, further improving efficiency. Another high-tech solution are the elastic teeth for the chronograph mechanism, which feature lengthwise slits on each tooth to enable the gears to mesh perfectly. Not only does it get rid of the stutter that sometimes afflicts the chronograph when it is started, the elastic teeth also mean there’s no need for the tension spring to get rid of the stutter. The final element of the puzzle is the longer and thinner mainspring, that nonetheless occupies the same barrel. Together with all the efficiency boosting features in the rest of the movement, this gives the Chronoworks a 100-hour power reserve, 45% longer than the ordinary version of the movement, despite both being exactly the same size. Priced at almost US$40,000 the Chronoworks is hard to swallow commercially but it is a surprising achievement that deserve plaudits. Another of the year’s surprises from an unexpected corner is the Monsieur de Chanel. 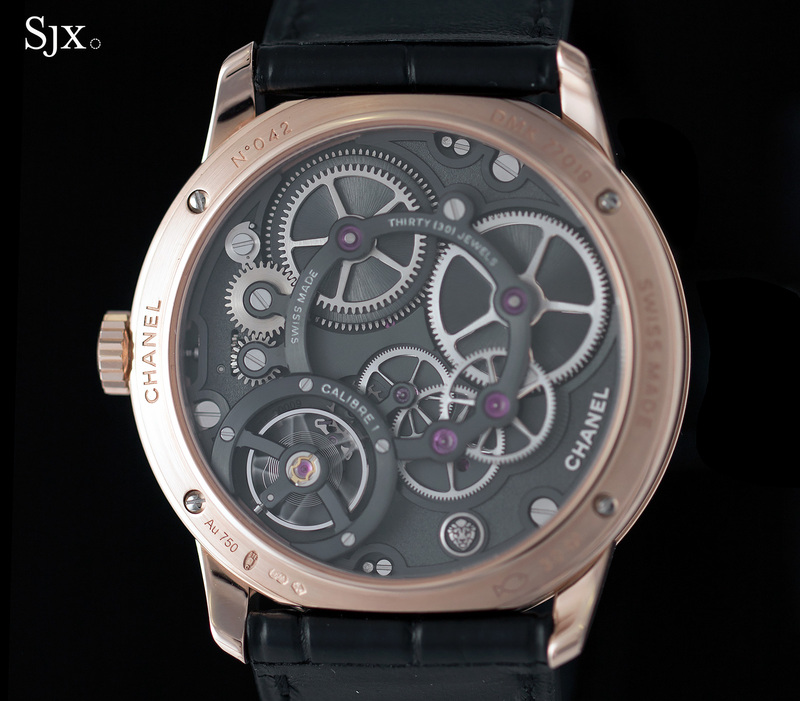 The first mechanical wristwatch designed for men by the Parisian fashion house, the Monsieur de Chanel is a handsome and elegant timepiece with a respectably constructed movement thanks to Chanel‘s partnership with independent watchmaker Romain Gauthier. Time is told by a jumping hours and retrograde minutes, arranged linearly from top to bottom with the seconds in-between. The look is clean and reliant on geometric shapes, a style that is also evident on the movement. A series of repeating circles characterise the movement, with the gear train arranged around the main plate, secured by a large, circular bridge. 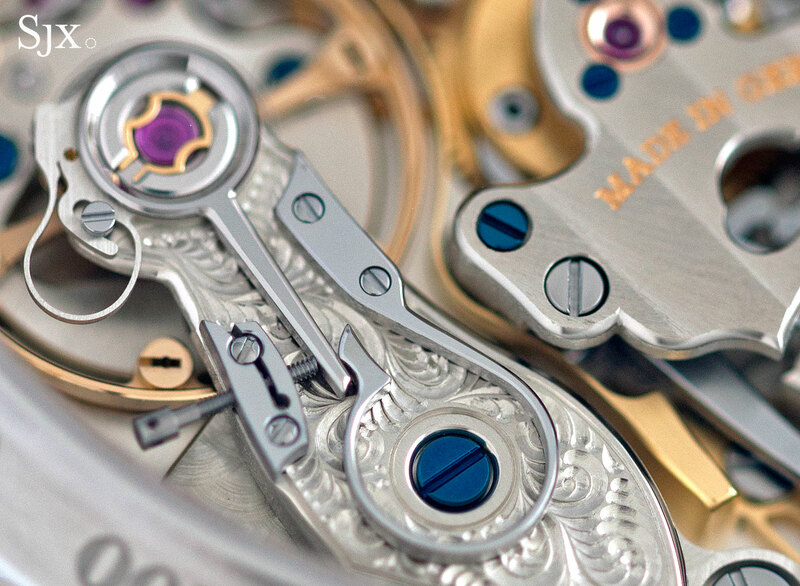 All the wheels in the movement are produced by Romain Gauthier – Chanel owns a stake in his company – and finished in the careful manner evident in Gauthier’s own watches. It’s still early days for the watchmaking efforts of Faberge, but the resurrected Russian jeweller has recruited some of the best minds in the business. The Visionnaire DTZ is the work of Agenhor, the creative Geneva-based complications specialist led by Jean-Marc Wiederrecht, better known for its work for brands like MB&F and Harry Winston. The Visonnaire DTZ is an elegant and unusual take on a common complication. It shows a second time zone via a jumping hours display. 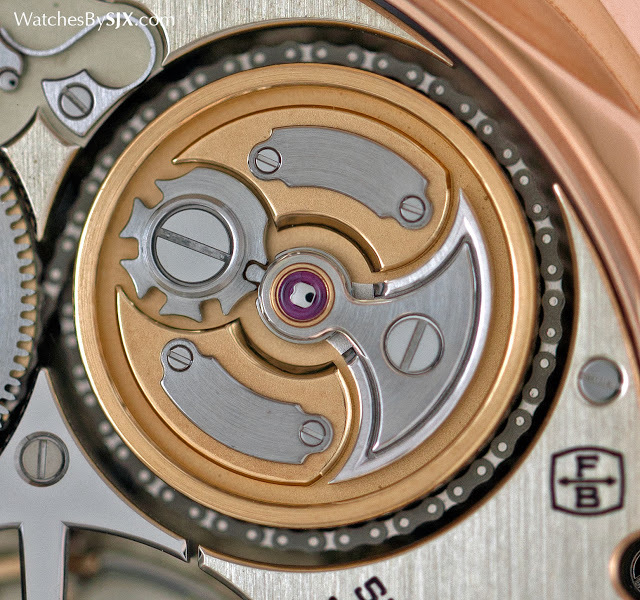 But because the jump hours disc is actually on the back of the movement, it is inverted and then magnified to appear inside a deeply set aperture in the middle of the dial. Like all of Agenhor’s movements the AGH 6924 inside the DTZ features invisible but whimsical details, namely a peacock-shaped lever and connects to a gear shaped like a bushel of wheat. 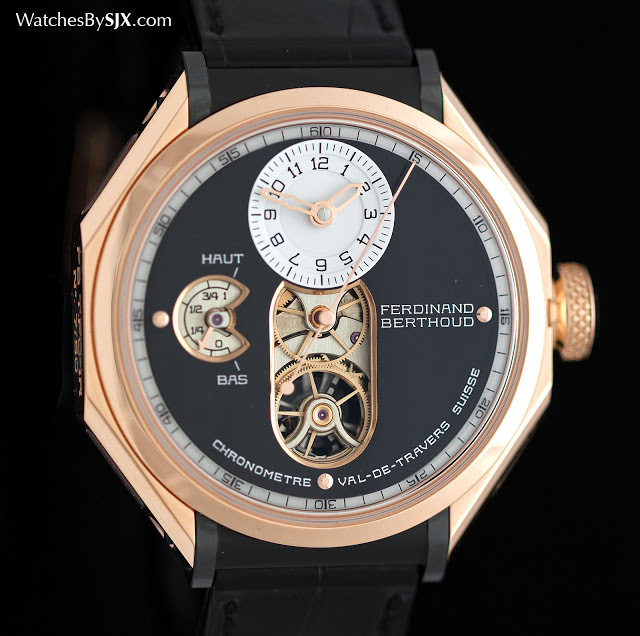 An 18th century name in French watchmaking revived by Chopard, Ferdinand Berthoud himself never made a tourbillon, but his modern day namesake wristwatch is impressive in itself. While its looks take some getting used to, the movement inside the FB 1 Chronometer is the sort of elaborate and expensive watchmaking that will be in short supply as the luxury watch industry endures the current, severe slowdown. Constructed like a pocket watch movement with the moving parts in between two plates secured with pillars, the FB 1 movement has a tourbillon as well as chain and fusee constant force mechanism. The concept is not new, in fact it’s rather anachronistic given how much space the chain and fusee takes up, but the watch abounds with wonderful details, including the large, slim tourbillon cage wheel with gold weights, the elegantly shaped click spring for winding, and the gorgeously detailed barrel. The Elegante 48 is the only quartz watch on this list and it’s a paradox – a quartz watch by a talented maker of mechanical watches, and also a men’s sports watch that’s an upsized ladies’ watch. While the movement is built on a transient circuit and battery, the bridges and main plate are 18k rose gold, just like all of F.P. 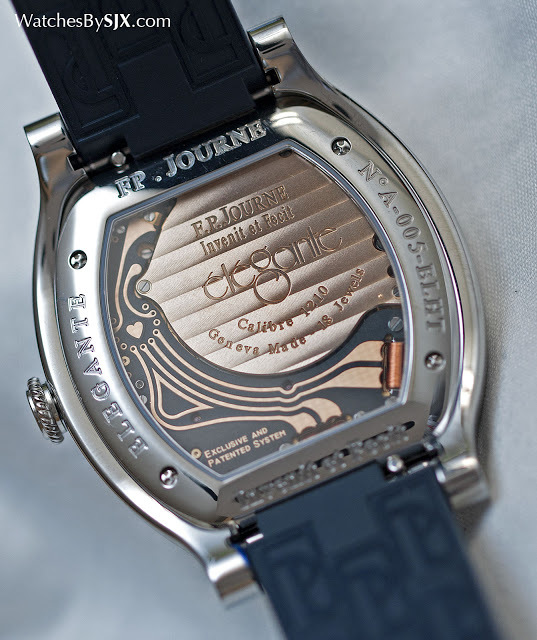 Journe‘s mechanical watches. And functionally it’s no ordinary quartz movement, having a sleep function that kicks in if the watch is motionless for 30 minutes. 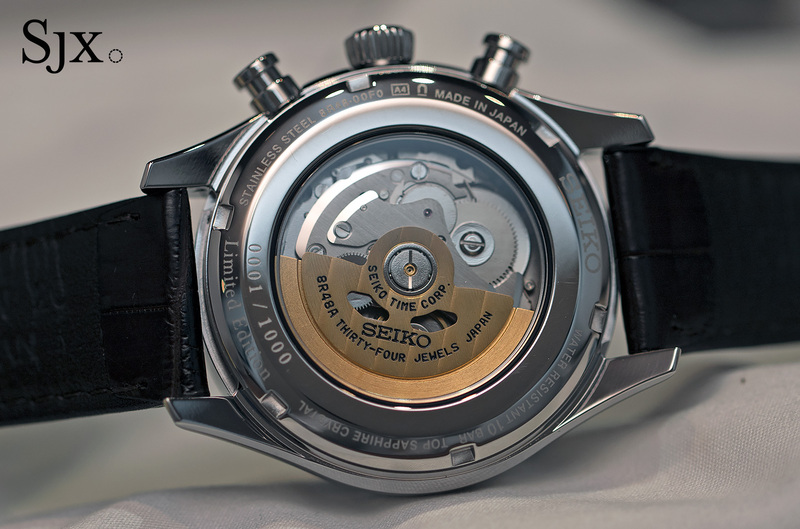 Though not a new function, having been pioneered by Seiko in the late 1990s, this extends its battery life to 18 years. 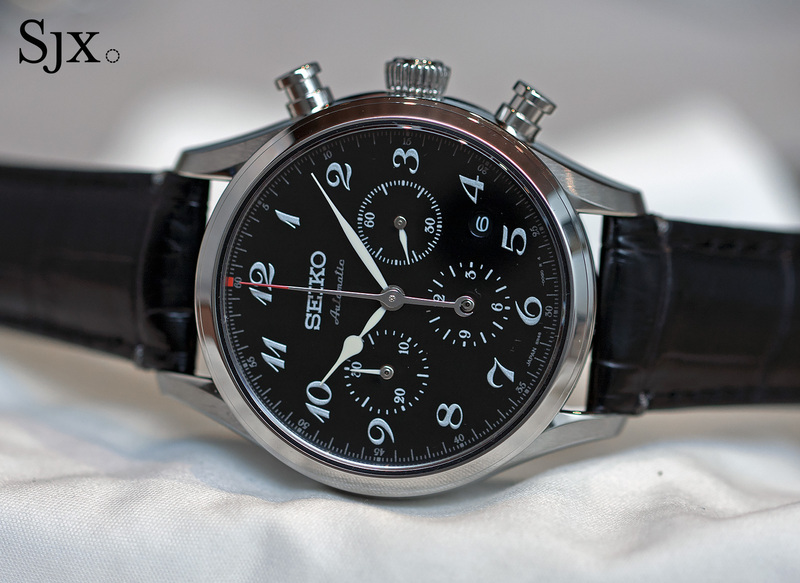 On the wrist the Elegante 48 is, well, elegant, being largish but flat and lightweight. The rubber strap is narrower than it should be, but the watch still cuts a handsome figure on the wrist. For about US$12,000 at retail the Elegante 48 is a weirdly compelling buy. The Legacy Machine Perpetual is one of the more conventional looking watches from MB&F, being round and telling the time with a pair of hands. But it is technically impressive, being of the most enlightening perpetual calendar mechanisms ever devised and also the most complex MB&F timepiece to date. All of the calendar mechanism is visible underneath the high, domed sapphire crystal, with the oversized balance wheel suspended above, all signature features of the Legacy Machine line. Conceived by Irish watchmaker Stephen McDonnell, Legacy Machine Perpetual is functionally identical to much more affordable perpetual calendar watches, the difference between the Legacy Machine Perpetual and conventional calendars is akin to a V12 and a four-cylinder engine. Ingenious and robust, the calendar is built around a stack of gears that controls the indicators, with each calendar function having its own gearing, instead of the sprawling array of springs and levers of a traditional perpetual that relies on the date lever to control all the other indicators. And the Legacy Machine Perpetual also includes a safety mechanism prevents damage in case the indicators are adjusted while the calendar is changing. The result is a 581-part movement, more than double that of regular perpetual calendars, like Patek Philippe’s calibre 240 Q for instance, which is made up of about 250 parts. But the Legacy Machine Perpetual also offers a gorgeous view from the back, being arguably the best finished MB&F watch to date. The biggest maker of luxury watches in the world, Rolex is a behemoth that does the same thing very well year after year with little variation. 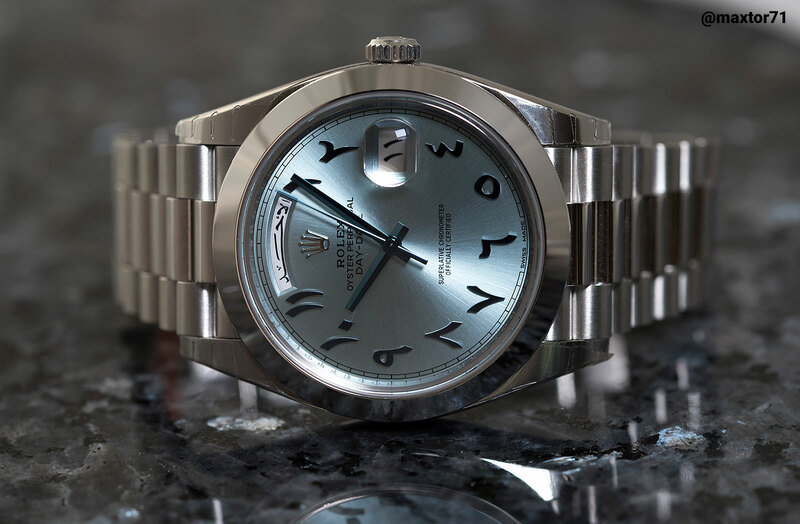 So when Rolex makes something slightly different it tends to be notable. A case in point is the platinum Day-Date 40 made only for the Middle East that sports hour numerals, days of the week and date in Eastern Arabic script, the flowing script commonly used in the Persian Gulf. Such dials are not new, having first been made by Rolex in the 1950s, though they were discontinued by the 1970s. 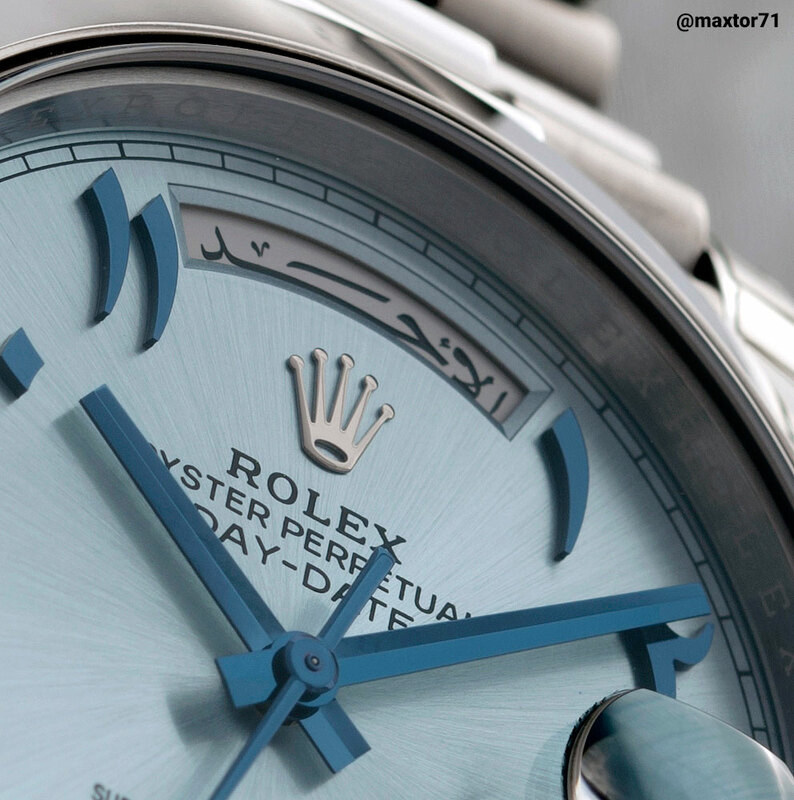 So the revival of the “Arabic dial” Rolex was a surprise. But because the watch was unveiled at Baselworld 2016 with minimal fuss, almost silently in fact, the reception was modest. Its photogenic nature helped the watch become a familiar sight on social media – Instagram is especially popular in the Gulf states – which means the Day-Date 40 “Arabic” has become known outside of the Middle East. 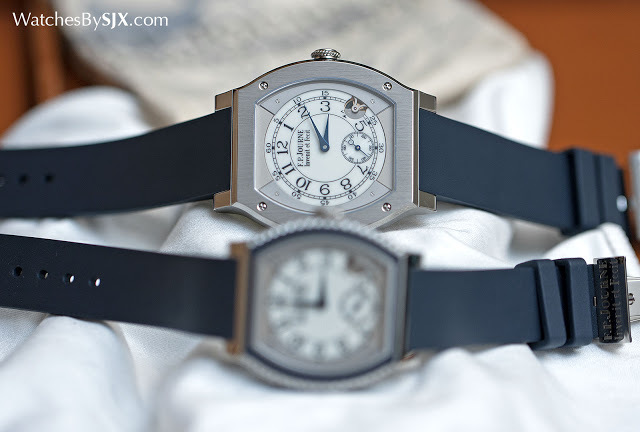 This pair of chronographs are perhaps the best value buys for the entire year. Produced to mark the 60th anniversary of the Seiko‘s first self-winding watch, the Presage chronographs boast in-house movements and fancily finished dials. Both limited editions, the dial choices are either in vitreous enamel (grand feu enamel if this was Swiss and expensive) or a black maki-e lacquer. 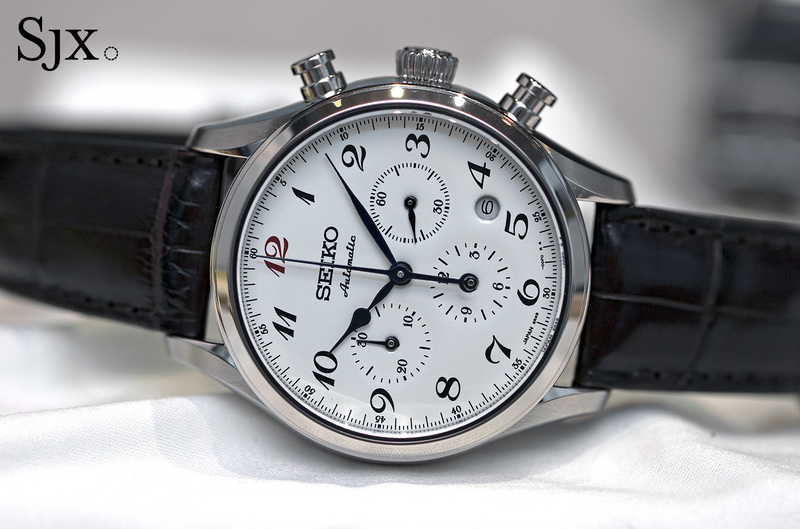 Priced at just US$2300, the enamel model is traditionally styled, with a white enamel dial and a prominent red “12”. 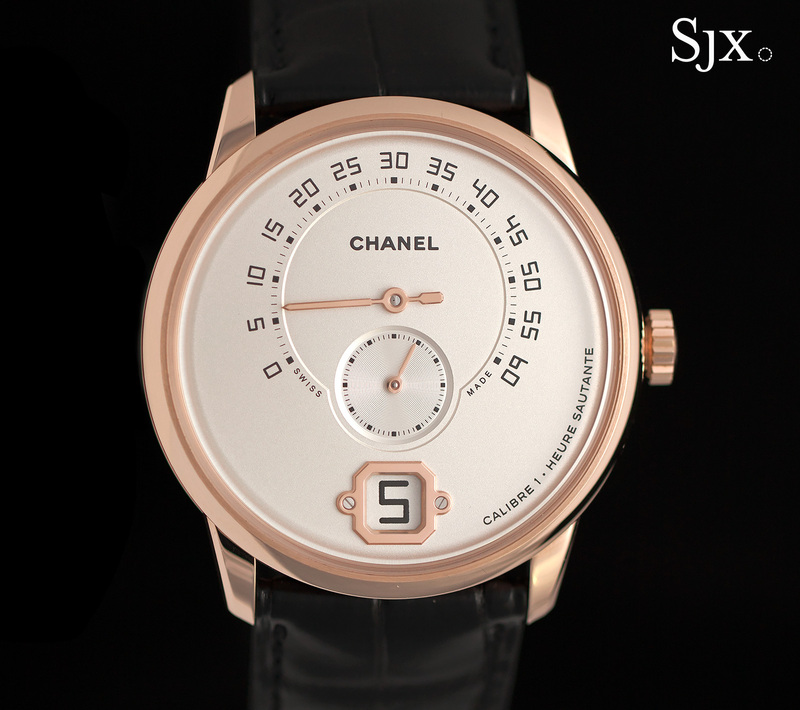 While the dial is made in industrial quantities, it is physically and chemically a true enamel dial. More complex to produce is the black dial, finished with the traditional Japanese lacquer technique known as maki-e. Produced by maki-e artisan Isshu Tamura, the dials are a deep black lacquer with the hour numerals and logo made of sprinkled silver powder. 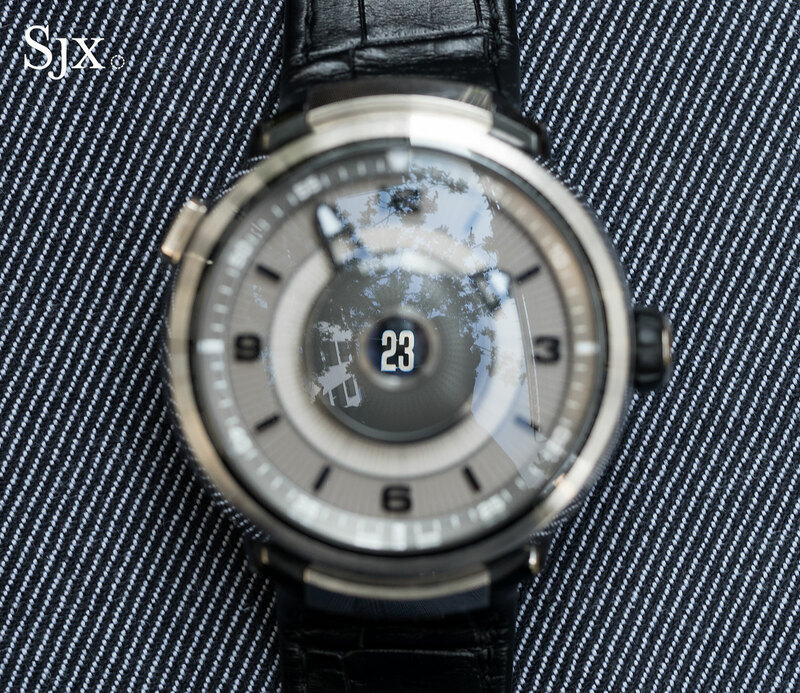 While fairly conventional looking at a distance, the dial reveals the detail of the powdered silver up close. This costs slightly more, with a retail of US$2600. Both watches are powered by the calibre 8R48, an automatic chronograph movements. 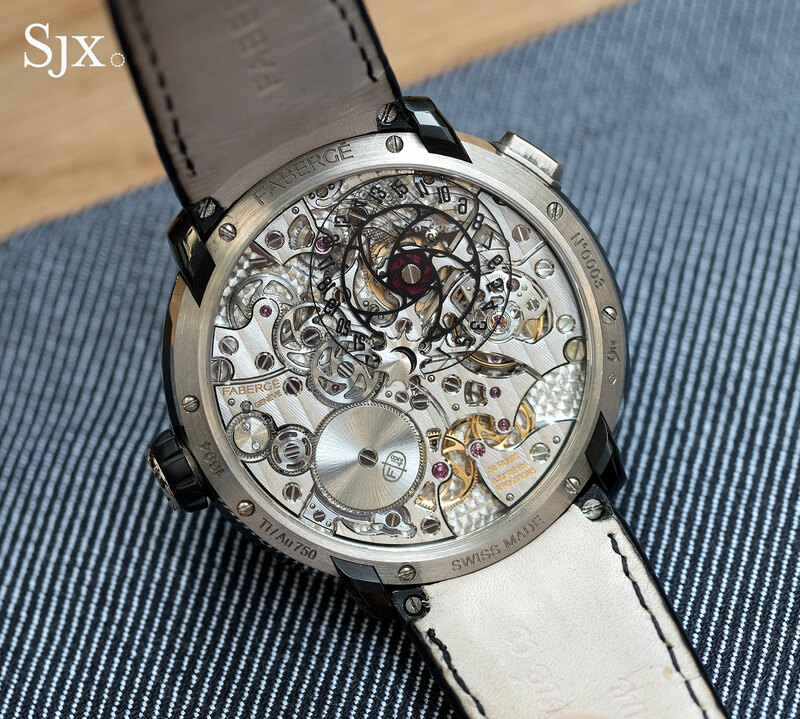 Though the movement decoration is rudimentary, it has all the bells and whistles common in mid- to high-end Swiss chronographs, namely a column wheel and vertical clutch.